Dugem, Tigray REGION, Ethiopia, 21 December 2017 – In the health post at Dugem village, in Ethiopia’s Tigray region, Berhan Zebraruk, 25, gently strokes her child’s cheek and then gives him a sweet tickle on the tummy. Her first born, Awot Kaleab, is quick to respond to her touch. He cracks a beautiful smile displaying his toothless gums and looks his mother right in the eye for the play to continue. The little boy is restless. He grabs his mother’s cell phone and when that is taken away from him, he turns his attention to the baby next to him. Awot is now 9-months-old and it is time for his measles vaccination, which would complete his set of basic vaccinations for children under the age of 1, as recommended by WHO and the Ethiopia National Expanded Program on Immunization. It is a special day for Berhan. 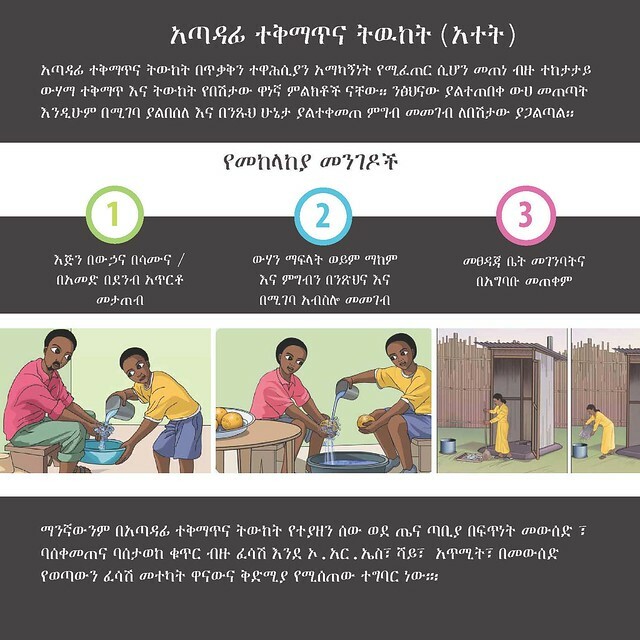 Shortly after Awot received the vaccine, the health extension worker, Genet Desta, registered his name in the vaccine book. Then she called out Berhan’s name and handed her a certificate, a recognition that is given to mothers when their children complete taking the necessary vaccines. Berhan is applauded by the other mothers in the health post for successfully vaccinating her child. She is also recognized as a role model for her best child feeding practices, including exclusively breastfeeding her son for his first six months. Berhan attended school up to grade 10. Since she was a little girl, her dream was to become a doctor. Instead, she got married and became a housewife like many other women in her village. Yet, her education is considered an achievement in the eyes of fellow villagers. “I wanted to become a doctor because I saw health workers treating people in my village,” says Berhan. “That wasn’t meant to happen for me, maybe it will for my son,” she added, gazing down at him. Berhan understands that her child can only fulfil her unrealized dream if he grows up healthy and well. When she knew that she was pregnant with him, she started her pregnancy follow-up relatively earlier than other mothers. In Ethiopia, an increasing number of women are receiving care by skilled health workers both during pregnancy and childbirth. In the Tigray region, where Berhan lives, for instance, 90 percent of women receive antenatal care by skilled attendants, at least once, during their pregnancy, which is well over the national average of 62.4 percent. In addition, 59 percent of the region’s mothers are giving birth in health facilities, instead of the old tradition of home delivery. The country has seen significant improvement in immunization coverage over the past two decades. In 2000, it was only 14 per cent of Ethiopia’s children under the age of 2 who have received all the basic vaccinations, but in 2016, that number soared to almost 40 per cent. 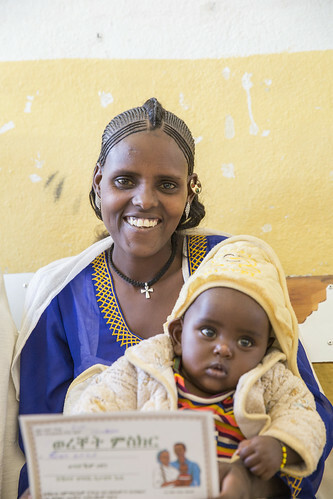 Owing to its well-established community-based health service provision, Ethiopia is also enjoying a reduction in maternal and child deaths. Maternal mortality which was 871 deaths per 100,000 live births in 2000 has dropped to only 412 in 2016, a reduction by more than half in just 16 years. The same is also true when it comes to child mortality. More children in rural Ethiopia are celebrating their fifth birthday than ever before. The nearly 40,000 female health workers, together with the women of the Health Development Army, easily access women and children in every household and provide much needed advice and services, including immunization to prevent the most debilitating child illnesses. UNICEF is supporting the different components of the programme by providing both financial and technical assistance. UNICEF also supports the management of common childhood illnesses including malaria, pneumonia, diarrhoea and severe acute malnutrition at the health post level, contributing to a significant reduction in deaths. Berhan’s task as a mother, caring and nurturing for Awot, symbolizes the bright future that lies ahead of children in rural Ethiopia. She is well equipped with skills and knowledge that will enable her to provide critical health and nutritional care for her son. Further help is also available since services, even for those in remote communities, are now more accessible. አጣዳፊ ተቅማጥና ትውከት የሚያስከትለው ችግር ምንድነው ?